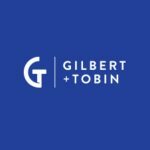 Gilbert + Tobin is a Top Tier Corporate Law firm recognised in Chambers Global and Asia Pacific Legal 500 as an expert in its practice areas. We are at the forefront of legal innovation, have successful and expanding practices in all our specialist areas, and we enjoy a reputation for providing our clients with the highest quality service and expert legal advice. We have over 650 working in our Sydney, Melbourne and Perth offices. Our cadetship program is open to Aboriginal and Torres Strait Islander law students at all stages of their degrees. You will complete a number of rotations through different areas of our business including legal administration, legal research and paralegal roles. Cadets typically work one to two days per week during semester and additional days during semester breaks, alongside full-time or part-time study. Cadets work closely with our lawyers who are specialists in their areas of legal practice. We will provide you with the opportunity to build new skills, knowledge and experience and to gain a greater understanding of our clients and their industries. The program supports you as you complete your studies by offering practical and challenging work and formal mentoring. The successful candidates will be self-starters and possess strong communication and interpersonal skills. The ability to work autonomously as well as in a team environment is also important for this role. Currently enrolled in an LLB or JD (part-time or full-time). Studying at Sydney University, UNSW, UTS, Macquarie University, WSU, ACU, Wollongong University or Newcastle University, or studying by distance education at another institution and able to work one to two days per week in our Sydney office. At any stage of your studies, though we particularly welcome applications from students in first and second year. About you, including your background and Aboriginal and/or Torres Strait Islander heritage. Your motivation for studying law. Why you are interested in a cadetship? What do you hope to get out of it? Why are you interested in Gilbert + Tobin? Your expected degree completion date and youravailability for work from 1 August 2019. Applications open 1 April 2019 and close 31 May 2019.